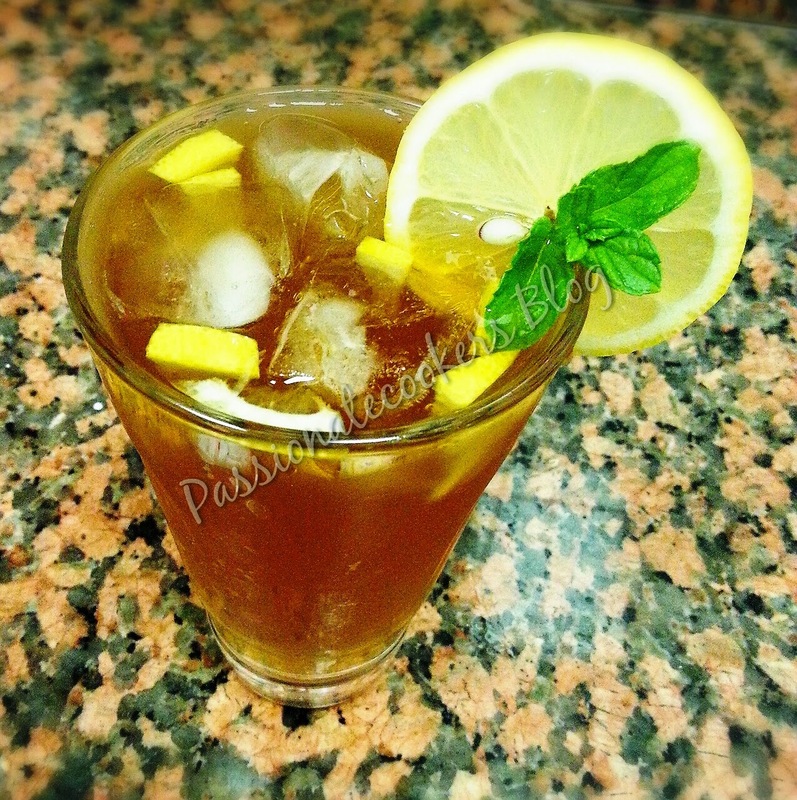 Here is a ultimate refreshing iced tea for your summers. 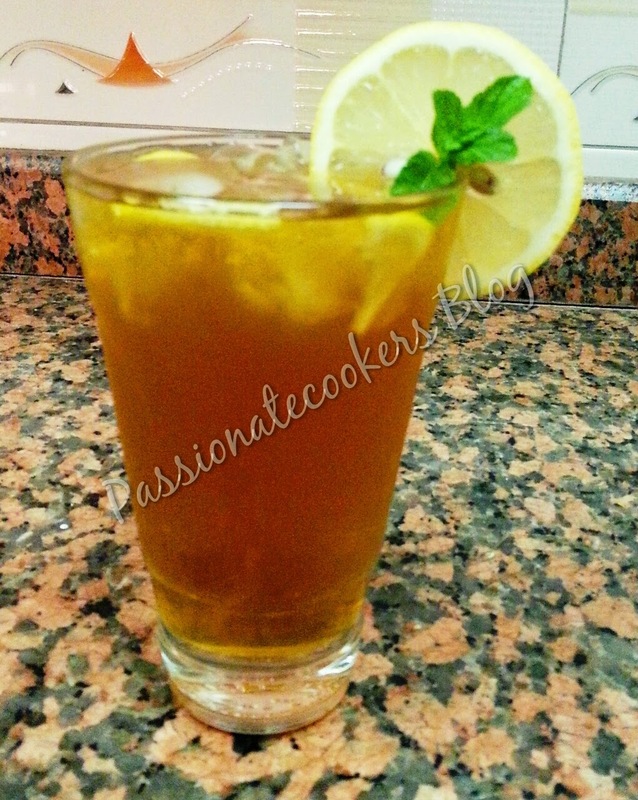 This tea can be enjoyed as it is or you can always make it more healthier by adding some green tea bags to it. i always love the minty flavor let it be green chutney or mint curd or mint tea, i just love the flavor. It just gives me an instant freshness and the smell is soo divine. Roughly tear the mint leave and place it in a deep strainer. Boil the water and pour it over the leaves, make sure the water covers the leaves while in the strainer. Now using a spoon squeeze the leaves so the oils gets released. Let it seep in the water for around 10 - 15 mins. Strain and place a green tea bag if desired. Enjoy hot or cold with a squeeze of lemon. Please leave your comments, Love to hear from you.